A Zambian Parliamentary delegation is in the country for benchmarking on how to fight graft. 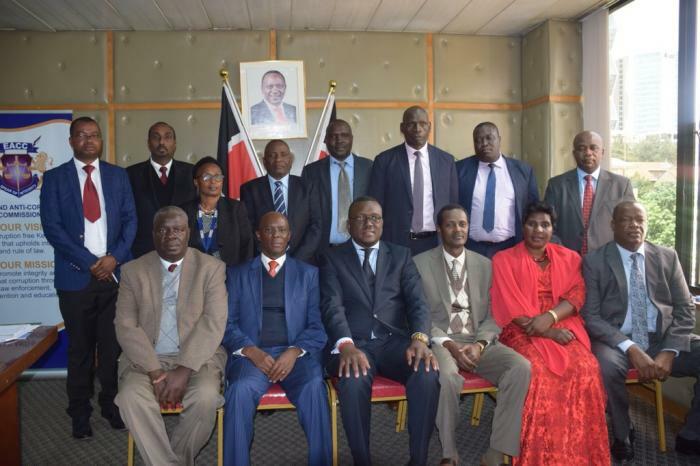 The eight members of parliament arrived over the weekend and their first stop was at the Ethics and Anti-corruption Commission (EACC) offices at Integrity Centre. “This is a study tour by our colleagues from the Zambian National Assembly. We are sharing with them our experiences as a commission when it comes to corruption and promotion of ethics in our country,” a commissioner told a local daily. “We are here to learn how the EACC is managing it, bearing in mind that those who engage in corruption remain very powerful and with the mandate to look after the aspirations of the people they govern,” a Zambian MP said. This comes at a peculiar time when Kenyan MPs have threatened to disband the commission over incompetence. “EACC has demonstrated failure to address issues under its mandate and it must take the blame for rampant corruption in the country,” Aldai MP Cornely Serem said as he seeks to amend Article 79 of the Constitution. The legislator noted that the commission’s mandate has been taken up by the office of the Director of Public Prosecutions (DPP) and the Directorate of Criminal Investigations (DCI). “The work of this institution is being undertaken by the DCI, so there is no need for two institutions duplicating the same work. The institution receives a huge budgetary allocation without commensurate outcomes in its work,” he said. Kenyans were amused by the Zambian MPs as corruption is on an all time high in the country. The country has been hit by one graft scandal after one, the most recent one being the Sh.92 billion at Kenya Pipeline, Sh.9 billion at the NYS. If Zambian mps are serious of the trip they should make sure that the money allocated for the bench marking trip is inflated, we only admit top corruption students hence a good corruption track record is mandatory. These Zambian MPs are certainly not in Kenya to learn how to fight corruption. They seemingly are on a benchmarking tour to learn how to go about procurement with special interest in supplying air and still getting paid in billions.